The 3 components of successfully using humor in the workplace You love what you invest yourself in The science of happiness and effective teams Welcome to the world of femtech: Your employer can monitor your entire pregnancy with this app This iconic (and tiny) fashion trend will be all over your office this summer You love what you invest yourself in A guide to doing cocktails in Miami Emotional intelligence: what is it and how can you improve yours? I hope you will be treated unfairly Hey look, I don’t agree with what your critics say about you This is the single biggest mistake you’re making with your resume: Ladders 2018 Resume Guide This is how I learned to get Millennials to stop asking about promotions This iconic (and tiny) fashion trend will be all over your office this summer You love what you invest yourself in That bad restaurant review you read on Yelp may have been influenced by this odd thing Emotional intelligence: what is it and how can you improve yours? The AVP Inside Sales Business Consultant is an inside sales representative that is responsible for developing new merchant processing relationships with small to medium sized businesses. 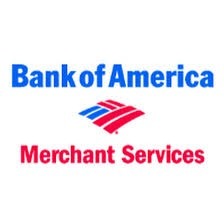 This role acquires new merchant services relationships through referrals from Bank of America banking centers as well as prospecting external sources such as association relationships, centers of influence and vendor relationships among others. This position is responsible for developing a strong pipeline for new revenue growth as well as developing and maintaining relationships with existing accounts and bank partners to identify/solicit new revenue growth opportunities. Develop a strong pipeline for new revenue growth. Identify and solicit new revenue growth opportunities. Develop and maintain relationships with existing accounts and banking centers/key bank partners. Successfully schedule and manage appointments with clients. Self-source outside referrals and leads. Contact with customers is primarily via phone and email. 2+ years of sales experience (or Bachelor’s degree in lieu of experience). Experience selling Merchant, Bankcard or Financial Services. Outstanding sales, business development and negotiation skills. Strong hunter in customer-centered sales with a desire to exceed expectations and quotas. Ability to develop new business through prospecting over the phone and email. Ability to multitask and change direction in ever changing payment processing environment. Strong communications, including oral and presentation skills. Effective planning, time management and organizational skills. Highly motivated to succeed in a performance driven environment. Multi-lingual ability, for select markets. Proficient in Microsoft Excel, Word, PowerPoint, and Outlook. Ability to quickly learn various sales applications such as AMA, Salesforce.com, and 1Star. Works in an office environment involving sitting most of the time at a desk in front of a computer. The worker is subject to close visual acuity to perform activities such as preparing and analyzing data and viewing a computer screen to read and enter data. Infrequent travel may be occasionally required for training or meetings.